Fast food Czech style. Legend has it the kofola soft drink originated in communist Slovakia when food scientists were trying to figure out what to do with the caffeinated sludge byproduct from brewing coffee. I think it tastes like a less sugary coke with a little bit of herbal anise flavoring. 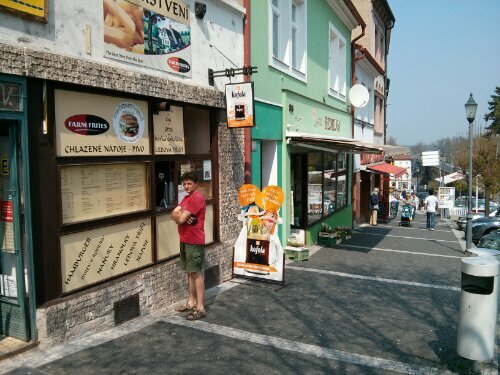 This entry was posted in Observation and tagged czech, kofola on April 22, 2013 by papish. In OT! Zlin vs Plzn. Game is more rollerhockey-style than NHL. Lots of physicality after the whistle but way less during play than NHL, especially for a playoff game. Wide open and already several partial breakaways. 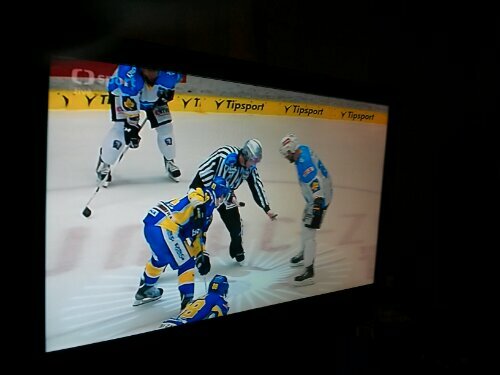 This entry was posted in Observation and tagged czech, hockey on April 21, 2013 by papish.